*Potluck Lunch, Family Activity FUN! SUPER SOAKER Event! Water Balloons, BYOD … ! Arts, Crafts, Contests, Paper Airplanes, Rockets! Schedule: 11:00 Preparation & Fellowship 12:00 *Potluck Lunch and Family Activity FUN! – Sunday, July 3, 2016 from 11 am to 3 pm or so. Spirit of Peace is a missional community of believers. We believe that the community has life that is greater than its parts. Spirit celebrates Independence Day! EVERYONE is Very Welcome! There is much uncleanliness that begins today’s gospel lesson. Luke paints a picture that is worth a thousand words. The man possessed by demons is freed from their grip. He is grateful. Now the villagers who came to witness this exorcism want to be left alone without the presence of Jesus. They are scared. The formerly possessed man will proclaim Jesus as the Son of God. In Isaiah our Lord God is willing to pay dearly to be with His people. Even though as Gods people we are immature, emo, and much less than perfect, our Lord God waits for us with open arms. 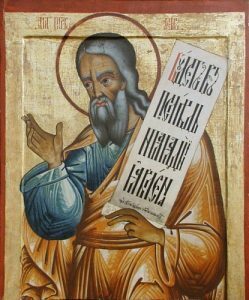 Our Psalm mirrors Isaiah in full concert with the meaning of the phrase the Lord Hears the Cry of the Poor. Paul assures the Galatians that they are Children of God, Saved through their Faith and NOT due to the Law. Here I am, Here I am. Is. 65:1. Send out your light and your truth; let them lead me. Ps. 43:3. In Christ Jesus you are all children of God through faith. Gal. 3:26. Return to your home, and declare how much God has done for you. Luke 8:39.
in a world that does not want to hear. to be your faithful servant people. Amen. and in whom we are one. Amen. For to carry my mother away. Arts, Crafts, Contests, Paper Airplanes, Rockets! A gift for Dad! Schedule: 11:00 Devotion & Fellowship 12:00 *Potluck Lunch and Family Activity FUN! – Fathers Day Saturday, June 18, 2016 from 11 am to 1 pm or so. – Fathers Day Sunday, June 19, 2016 from 11 am to 1 pm or so. Spirit of Peace is a missional community of believers. We believe that the community has life that is greater than its parts. Spirit celebrates its Dads on Father’s Day! When you come right down to it, where would we be without our Dads? May God Bless All Dads! Stop by and visit us for a Father’s Day gift. As Always, Moms and All are Very Welcome too! Although Jesus Christ died for the sin that would otherwise deliver us to damnation and He gifted us Salvation, we are still free to choose our course in life; will this choice be doing good or evil? Today’s lessons bring us examples of freedom to do that which is good works, pleasing to the Lord, and that which will allow us to enter the gates of hell of our own choosing. Where are our hearts, souls and minds today? Whether we visit the story in 1 Kings 21 or 2 Sam. 11, mankind is tempted to engage sinful behavior through unfettered wicked desire. Our psalm reaches out and prays for guidance. In Galatians, the Apostle Paul guides his church people to both understand the gift of salvation and make best choices. Luke, Apostle and Evangelist, compares greater and lesser debt. We know both are able to be unselfishly offered and graciously accepted. This is a good time for us to reflect on our own lives, seek guidance and make our lives paths straight. – performed by Antrim Mennonite Choir. Jezebel came to him and said, “Why are you so depressed that you will not eat?” 1 Kings 21:5. Lead me, O LORD, in your righteousness because of my enemies; make your way straight before me. Ps. 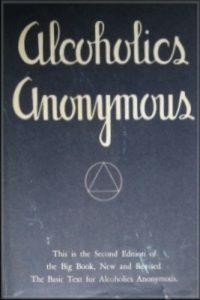 5:8. We know that a person is justified not by the works of the law but through faith in Jesus Christ. Gal. 2:16. I tell you, her sins, which were many, have been forgiven; hence she has shown great love. But the one to whom little is forgiven, loves little. Luke 7:47. My Jesus I Love Thee. and you are present to heal and forgive. made known to us in Jesus Christ our Lord. Amen. – Dads Day moved to Sunday, June 12, 2016 from 11 am to 2 pm or so. We believe that the community has life that is greater than its parts. Spirit celebrates its Dads and the Community Garden! When you come right down to it, where would we be without our Dads? May God Bless All Dads! Stop by and visit us for a Dad’s Day gift. As Always, Moms and All are Very Welcome too! – Saturdays in June and July 2016 from 10 am to 11 am or so. 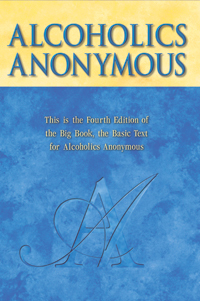 AA (Alcoholics Anonymous) is an organization well known for its “Twelve Steps” and “Twelve Traditions.” Those who attend AA meetings learn the “Steps” through rote memorization as it is customary for someone in the group meeting to read the Steps aloud every meeting. Ideally these steps will be taught, supervised and practiced through the member’s relationship with a sponsor. Peer support is generally offered and available in the thematic group discussion that follows the presentation of a Step, reading from the “Big Book,” or a Daily Reflection. Seven of the twelve “Steps” (presented later in this document) make reference to “God” or a “Higher Power.” There are meetings that may be centered on Christian worship, Scripture, Spirituality, or other religious practices. Originally proposed by Alcoholics Anonymous (AA) as a method of recovery from alcoholism, the “Twelve Steps” were first published in the 1939 book written by Bill Wilson and Dr Bob Smith, titled “Alcoholics Anonymous: The Story of How More Than One Hundred Men Have Recovered From Alcoholism.” Other “Twelve-Step to Recovery” groups adopt and adapt the AA “Twelve Steps” as guiding principles. The Twelve Step Program contains a set of guiding principles outlining a course of action for recovery from addiction, compulsion or other behavioral problems. VandenBos, Gary R. (2007). APA dictionary of psychology (1st ed.). American Psychological Association. Washington, D.C.
Made a decision to turn our will and our lives over to the care of God, as we understood Him.